The supreme choice for players in pursuit of the ultimate shooter’s stick that provides superior strength, optimal balance, and maximum power. A stick designed with optimized weight distribution creates a lighter and more balanced feel, with greater durability and uncompromised performance. Now available in the clearance section! 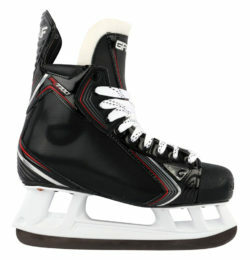 View our incredibly simple hockey skate sizing guide, now available! We’re experienced hockey players who know what it takes to run a successful business. We set ourselves apart with outstanding customer service. 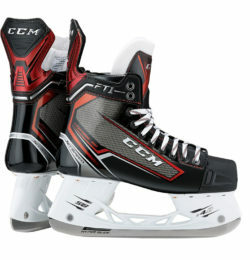 Hockey Plus offers the largest selection of Hockey Gear from the top brands in the industry like CCM, Bauer, Graf and Warrior at the best pricing available. If another outlet has a specific item in stock at a regular retail price lower than ours, our price match guarantee means we’ll match their pricing without hassle. At our 5,000 SQFT retail hockey location, we stock the newest hockey gear with the latest technology for all size players: youth through senior, and all different skill levels: entry level to professional. Looking for diferent kinds of player gear? We’ve got you covered. 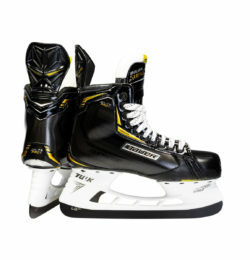 We stock and maintain close relationships with our hockey gear and hockey equipment vendors. We have a dedication to only providing our customers with top quality player products. Because of our dedication to providing our customers the best options in hockey equipment, we carry the best hockey gear available from top name brands in the industry. 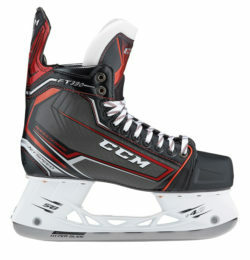 With our price match guarantee, you can feel confident knowing you’re going to get the best pricing available on the latest hockey gear and hockey equipment with the best technology. With our “customer first” commitment, there’s no reason to shop anywhere else. If there’s something you’re specifically looking for, don’t hesitate to contact us – we just might be able to get our hands on it for you!